Date of original issue: July 22, 2015. 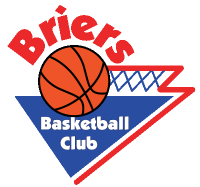 (1) Brantford Briers Basketball Club (“Briers”) is committed to controlling the collection, use and disclosure of the personal information provided by its members and users. (2) This Privacy Statement has been adopted by Briers to ensure the accuracy, confidentiality and integrity of your personal information. (3) This Privacy Statement is modeled after the Canadian Standards Association Model Code for the Protection of Personal Information and is compliant with federal and provincial privacy laws including the federal Personal Information Protection and Electronic Documents Act. (1) “Personal information” is personally identifiable information such as your name, residential address and e-mail address and includes information such as credit information and billing records. (2) Personal information is collected by Briers only when you specifically and knowingly choose to provide it to us. We may also receive personal information from our business partners and other third parties provided that such third parties confirm to us that they have obtained your consent to the disclosure of your personal information. (1) Briers collects and uses your personal information primarily for the purpose of providing you with the products and services you have requested from us. (2) Your personal information is used to communicate with you to provide you with information related to other services. If you indicated that you were interested in receiving offers or information from selected sponsors or advertisers, your personal information would also be used to contact you or to send you e-mail materials and other mailings about products and services that might be of interest to you. You always have the option, however, to tell us not to share your personal information with or to exclude you from offers for other products or services. (3) Briers may also contact you from time to time to conduct market research and surveys in an effort to continually improve our product and service offerings. (4) Unless you specifically authorize us to release your personal information, or release is required or permitted by law, Briers will not sell, lease or trade your personal information to other third parties. (5) Anonymous or “non-personal” information gathered by Briers through our web sites may be used for technical, research and analytical purposes. Information collected (through surveys, existing files and public archives may be used by Briers to analyze their markets and to develop or enhance service offerings. (6) Briers will only ask for information about you that we need and will only ask for it when we need it. When we ask you for the information, we will explain to you why we need it and what we are going to do with it. To enable us to more efficiently provide the products and services you have requested from us, Briers may share your personal information with selected third parties who are acting on our behalf as our agents, suppliers or service providers. Such third party service providers are provided only with such information as is necessary in the circumstances. Information provided to third parties may be used only for the purpose stipulated and is subject to strict terms of confidentiality. (1) Briers uses a browser feature called a cookie to collect information anonymously and track user patterns on Services web sites. A cookie is a small text file that is placed on your hard disk by a web site. “Cookies” contain a unique identification number that identifies your browser, but not you, to our computers each time you visit one of our web sites. Cookies tell us which pages of our web sites are visited and by how many people. (3) Briers may, from time to time, collect data using cookies to track and analyze website user data such as location, page visits, search engines utilized, device usage and browser information for our own internal use. Briers will try to ensure that information about you is accurate, complete and up-to-date. However, please inform Briers to whom you provided your information of any change of name, address or other information. In the event you have questions about the accuracy of factual information we have collected about you, you will have access to that information in order to verify and update it. If we have disclosed inaccurate information about you to a third party, we will be pleased to contact the third party in order to correct the information. (1) If you have any questions about the collection, use or disclosure of your personal information or if you simply want to know whether we have any of your personal information on file, you may contact our Privacy Compliance Officer. Except in limited circumstances, as specifically provided by applicable privacy legislation, Briers can tell you whether they hold personal information about you. They can tell you the source of the information, allow you access to your personal information and find an account of the use that has been made or is being made of the information and the third parties to which it has been disclosed. (2) Briers will only refuse access to information about you in those circumstances permitted or required by applicable privacy legislation. If Briers refuses access to you, it will provide you with the reasons for its refusal upon request. Exceptions may include information that contains references to other individuals, information that cannot be disclosed for legal, security or commercial proprietary reasons, and information that is subject to solicitor-client or litigation privilege. Briers will respond to your requests for access in accordance with applicable privacy legislation. (2) Briers has procedures in place to receive and respond to complaints or inquiries about its handling of personal information. They will describe the complaint procedures to anyone who makes inquiries or lodges complaints. (3) If you are not satisfied with the response from our Privacy Compliance Officer after making a complaint, you may have recourse to additional remedies under applicable privacy legislation. For further information, please contact the federal Privacy Commissioner (https://www.priv.gc.ca/) or your provincial Privacy Commissioner (https://www.priv.gc.ca/resource/prov/index_e.asp), as applicable. (2) Identifying Purpose. Briers will identify the purpose for which personal information is collected at or before the time the information is collected. The purposes for which information is collected, used or disclosed by Briers must be those that a reasonable person would consider are appropriate in the circumstances. (4) Limiting Collection. Briers shall limit the collection of personal information to that which is necessary for the purposes identified by the company. Personal information shall be collected by fair and lawful means. (5) Limiting Use; Disclosure and Retention. Personal information shall not be used or disclosed for purposes other than those for which it was collected, except with the consent of the individual or as required by law. Personal information shall be retained only as long as necessary for the fulfillment of the purposes for which it was collected. (8) Openness. Briers shall make readily available to its members and users and employees/authorized volunteers’ specific information about its policies and practices relating to the management of personal information. (9) Individual Access. Upon request, an individual shall be informed of the existence, use and disclosure of his or her personal information and shall be given access to that information except where Briers is permitted or required by law not to disclose personal information to the individual customer or employee. An individual customer or employee shall be able to challenge the accuracy and completeness of the information disclosed to him or her and have it amended as appropriate. (2) For more information, please contact Briers at (519) 756-8435 or by email at info@briersbasketball.ca.